George Booth was born in Bolton on 28 April 1915. He was the son of Thomas and Harriet Booth. 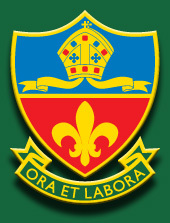 His primary education was at St Paul’s School, Astley Bridge, Bolton. He attended Bolton Church Institute between 16 September 1926 (IB) and 2 October 1931. He took the Oxford Senior School Certificate, then became a Fellow of the Library Association. George worked as a reference librarian in Bolton after leaving School and later as Deputy Librarian at Accrington. He married fellow Bolton librarian, Barbara Winifred Hirst at St George's Road Congregational Church, Bolton in December 1940. George served in the RAF with 502 (Ulster) Squadron, part of Coastal Command as a Wireless Operator/Air Gunner. From September 1944 the squadron was based at RAF Stornoway and carried out attacks on German shipping off the Norwegian coast using Halifax bombers. He was killed during an anti-shipping patrol in the Skagerrak on 26 November 1944. His body was washed up on the coast of Norway and buried nearby but the rest of the crew - including the Squadron's Commanding Officer - were never found. It isn't known whether the aircraft was lost due to enemy action or accident. Warrant Officer George Booth (29), deputy librarian for Accrington, reported missing following recent operations over enemy territory was a wireless-operator-air-gunner. Before going to Accrington, he was an assistant at Bolton Public Library. His home is in Bolton. The Red Cross has informed Mrs Barbara Booth, 47, New Hall-lane, Bolton, that the body of her husband, Pilot Officer George Booth (29), was found on the beach in Norway, and was buried in a nearby cemetery. Pilot Officer Booth was reported missing last December, following operations over enemy territory. He was formerly deputy librarian of Accrington going there in April 1939 from the Bolton Reference Library where he had been on the staff since October 1931. He was an old boy of the Church Institute, where he took his Oxford Senior School Certificate and he became a Fellow of the Library Association while at Bolton Library. He was called up in August 1940 and the following December he married Miss Barbara Winifred Hirst, who was also on the Bolton Library staff. 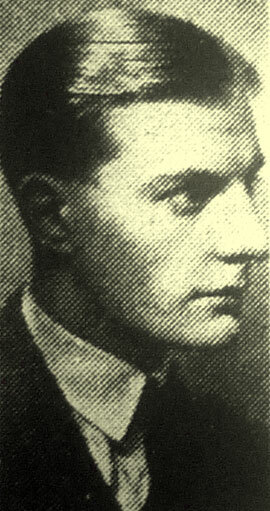 He had served with Coastal Command as a wireless operator-air gunner and was warrant officer when reported missing.